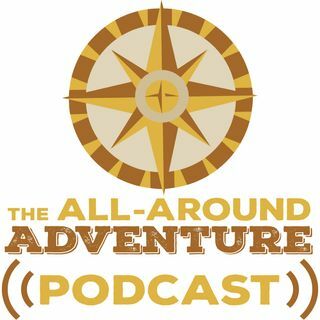 I've had the opportunity to speak with travelers of all kinds on this podcast; from warriors, entrepreneurs, best-selling authors, and so much more! But today I'll be talking with the first musician to come on the podcast! My guest Andrew Brantley is the lead singer and guitar player for The Orange Constant, a vintage rock/jam band based in Athens, Georgia. I got to meet Andrew, as well as the rest of the band, a while back when they came into my city to perform. After talking with ... See More Andrew and the guys, and getting a behind-the-scenes look of the show. I was amazed by their work ethic and their dedication to their craft. Each of them has come a long way. For Andrew, his passion for music began when he was in high school. After becoming more proficient with the guitar, as well as with song writing, he began to study music more in depth while in college. It was then when he started meeting the other guys, and The Orange Constant was formed. From there they went on to perform in venues all around the southeastern United States. Expanding their reach as time went on. In this episode Andrew tells us about how he came into music. As well as the challenges faced in the early days of traveling and performing with the band. We also discuss how to maintain discipline when building your craft. Why you should be prepared for set backs, and how they can benefit you. And why you should be patient and persistent during whatever journey you set out for in life.